In her 1948 book, Witness to the Truth, Edith Hamilton wrote in the Introduction that when times are bad and “storm-driven,” there is a “strong tendency to emphasize men’s baseness or their impotent insignificance.” This happens in both philosophy and art. Seventy years later, there is still this tendency to bemoan the nature of humanity. Speaking from our not-to-distant past, Hamilton (1867-1963), a scholar of ancient Greece, has insight that may help us today, which is generally what one finds from the great Greeks and those who “know” them. Philosophy and art have not always been as they are now, and this already was the case in Hamilton’s time. Stop and let those words wash over you — ”lift up the wing of the soul” and “love of the good, the true, the beautiful.” There is spiritual uplift in the words. In our time of so much bad behavior, dishonesty, and ugliness of human character it is good to remember to focus on their opposites — the good, the true, the beautiful. One can say the ugliness has always been with us, dating back to the plucking of that fruit in the first garden. But still, there have been times when humanity reached hard for the good, true, and beautiful. The Christian tradition says it a little differently, but it is essentially the same. We Christ followers seek to be more and more like Jesus — God come to earth. We die to self, yes, but it is in order to truly live in God. We do not fly to death; we fly to life. The best of artists do help clarify for us “the truth of beauty and beauty of truth.” They are, however, not alone in the world of the creative. There are some artists of amazing creativity who lift up the ugly, who seem to relish it, to swim in it, not to expose it but to be part of it. As for me, I seek the artists of beauty and truth. I love bright and lively colors in painting. I like inspiring and encouraging music. And I fall in love with writers who can help me see the good. All great artists are aware of and touch the ugliness, but they do not stay there. I heard someone say the other day that Buddhism does away with hope. I’m not sure if that is true, but how can one live without hope? I want the hope that comes from the truth and beauty that the best of artists capture. In this storm-driven day, may we hold on to the good, the true, and the beautiful. And may we exemplify them by seeking to be more like the loving and forgiving Divine. “Thank you. It’s nice to be in paradise,” I replied. As we walked to the car I told Tabitha you don’t expect to meet a philosopher in the middle of the countryside. It’s just another reminder to not be surprised where we might learn something or who might teach us. Remember, Jesus probably looked a bit on the scruffy side. That meeting also provided a good reminder to take notice of this paradise of creation that God has given us. By the way, if you don’t think your part of Texas is paradise, you might visit Mexia. 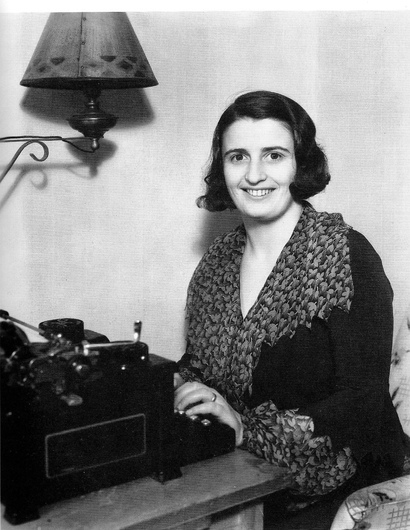 Confession: I haven’t read any of Ayn Rand, so my reaction is to what little I know of her thought, not to her actual work. Heidi Unruh has written a great piece, “Refuting Ayn Rand,” on the web site of Evangelicals for Social Action. But glimmers of truth do not make a philosophy true. “Each person is responsible for her own well-being and happiness. I am not my brother’s keeper. Following a purely rational ethic, no one should sacrifice himself for the sake of others. “Charity for those in need is not an ethical obligation. Any aid given should be voluntary, private, and not at the expense of the giver’s own well-being. “Aid should be reserved for those truly deserving of charity (i.e. not responsible for their own condition). People should reap the consequences of their choices in life. “Government exists solely to protect personal liberty and property. Its role should be limited to police and military defense, as well as laws and infrastructure necessary for commerce (e.g., traffic control, anti-fraud laws, contract enforcement). Government overreaches when it provides a social safety net for its citizens or enacts regulations to promote their general welfare. If you don’t see the problem with that, then it might be best to go back and read Scripture, especially the New Testament. I’ve only given some highlights from Unruh’s piece. If this nation goes the way of Ayn Rand, then we are done as the nation we have been through these many years. I have at times feared philosophy, but I love it — what little I have dabbled in it. It is about knowing, and knowing can be scary, but it is also rewarding. I love Whitehead’s line: “the spiritual precedes the material.” I fear we do to little spiritual or philosophical thinking.